The English as a Second Language (ESL) program serves culturally and linguistically diverse students whose native language is not English. The goal of the program is to provide students with the language and communication skills necessary to participate successfully in the mainstream classroom. We serve students in kindergarten through twelfth grade for whom English is not the primary language and whose English is not adequate to perform successfully in regular academic programs. The Adult Learning Center offers classes for older students wishing to learn or improve their English. 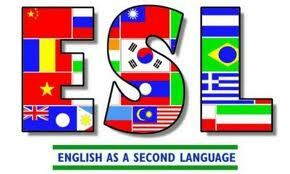 Volunteers Needed … to work with ESL students (of any age) in small groups or one-on-one. Please call Cherry Stewart, ESL Special Counselor, at 434-961-5465 . ESL services are designed to help students develop proficiency in listening, speaking, reading, and writing in the English language as well as to assist them in adapting to a new culture. Language and culture taught in the program reinforce skills and concepts taught in all areas of the regular curriculum. Instruction is designed to meet the needs of students at various English proficiency levels, is offered in all schools, and includes all linguistic minority groups. Students are assigned to programs based on their level of native-language literacy, academic level, and level of English literacy. Students’ needs in specific academic areas are the basis for service delivery decisions. In-Class Support: ESL teachers work with classroom teachers so students receive differentiated learning experiences in the regular classroom. Pullout Support: Students receive individual or small group instruction that is designed to meet their academic needs. Sheltered Content: Classes, taught by ESL and content specialist, are designed specifically for English learners. Students take English Language tests when they enroll and at the end of each school year. These language tests determine a student’s English Language Proficiency in the four language domains: listening, speaking, reading, and writing. The results of these assessments determine a student’s English language proficiency level. Students leave the ESL program when they attain a specific score on the WIDA English language proficiency assessment.